The lab of Jaime Modiano, VMD, PhD, which investigates how and why cancer occurs in both dogs and humans, recently added two new cell lines to Kerafast’s catalog. The partnership between Modiano’s lab and the Boston-based reagent company now includes 13 cell lines. As a result, scientists around the world can easily acquire the U of MN cell lines to further their own canine cancer studies. Kristin Snyder, a veterinary student at the College of Veterinary Medicine, has received a Howard Hughes Medical Research Fellows award for $43,000 funded by the Burroughs Wellcome Fund. She will use the award to study cancer immunotherapy in the lab of Bruce Walcheck, PhD, for 2018-2019. Education Day took place on Friday, May 18, and acted as an opportunity to recognize excellence from all around the College at the close of another school year. MINNEAPOLIS/ST. PAUL — Eight graduate students who are working toward either their master’s or doctoral degree from the College of Veterinary Medicine (CVM); the College of Food, Agricultural, and Natural Resource Sciences (CFANS); or the School of Public Health (SPH) were recently awarded fellowships from Minnesota’s Discovery, Research, and InnoVation Economy (MnDRIVE) for the 2018-2019 school year. 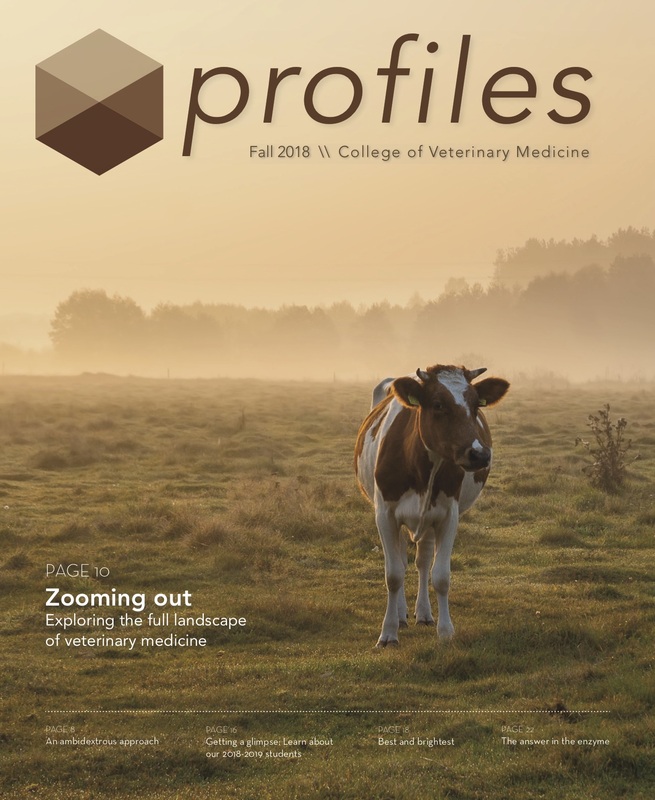 After two years of collaborating with colleagues, Dr. Laura Molgaard, associate dean for Academic and Students Affairs at the University of Minnesota College of Veterinary Medicine (CVM), recently helped introduce a new framework for competency-based veterinary education (CBVE) at The Association of American Veterinary Medical Colleges’ (AAVMA) annual meeting in March 2018 in Washington, D.C.